Bayern Munich winger Arjen Robben admits he is already considering what to do when the time comes to hang up his playing boots. The Netherlands captain, who has been at Bayern since 2009 and turns 34 in January, will be out of contract in summer 2018. "I'm becoming increasingly excited about what's coming when I retire," Robben told Germany's leading sports specialist magazine, kicker. "I'm thinking about it more often, which is a sign. The end is near, that's the reality." 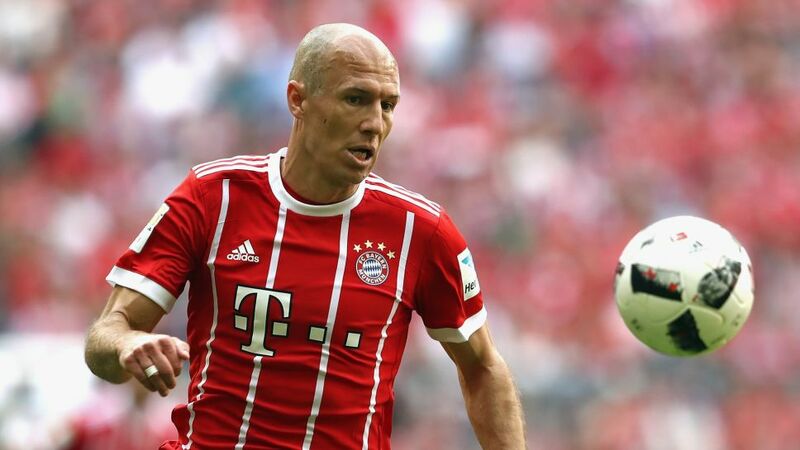 Although Robben is openly considering his medium-term future, his current focus remains fixed on the upcoming pre-season programme with record Bundesliga champions Bayern. "I'm pretty relaxed about it all," he continued. "I'm not looking at 2018. I'm concentrating on the here and now. When the time comes, I'll take six months out - a complete step back from football to look at my options. I won't do a thing. "One thing is for sure: I'll go back to Holland, to Groningen. I've still got close contacts at my hometown club. Perhaps there will be something for me there." Until then, Bundesliga fans can look forward to the Flying Dutchman running opposition defenders into the ground, as he did so with trademark menace last term, registering 13 goals and nine assists in 26 Bundesliga outings.